Who do you become when you have nothing left to lose? Poe Blythe, the seventeen-year-old captain of the Outpost's last mining ship has revenge on her mind as she and her crew voyage up the Serpentine River in search of gold. But there is something Poe wants even more than gold, h... read full description below. Who do you become when you have nothing left to lose? 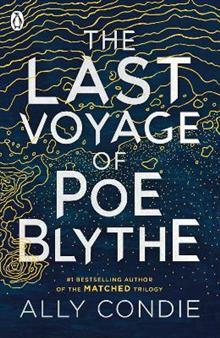 Poe Blythe, the seventeen-year-old captain of the Outpost's last mining ship has revenge on her mind as she and her crew voyage up the Serpentine River in search of gold. But there is something Poe wants even more than gold, however - to annihilate the river raiders who, two years ago, killed the boy she loved. As Poe navigates the treacherous waters of the Serpentine and realizes there might be a traitor among her crew, she must also reckon with who she has become, who she wants to be, and the ways love can change, even and especially when you think all is lost.